Scope and Content: The Ellison Duck Blind Photograph collection consists of 18 8”x10” reprints of photographs depicting the Ellison Duck Blind located in the Back River of Duxbury Marsh, Duxbury, MA and its caretaker, John C. Smith, in the 1960s and 1970s. There is also one 8”x10” reprint of John Smith and the Duck Blind c. 1914. In addition, there are two mounted albumen prints of Duxbury, c. 1890. One is of the Blue Fish River, the other of Abrams Hill. The collection was compiled by C. Barnes Davis, a friend of William Ellison’s and a frequent visitor to the Duck Blind. Biographical Information: A duck blind is usually a simple structure constructed to reduce the chance of detection while hunting. 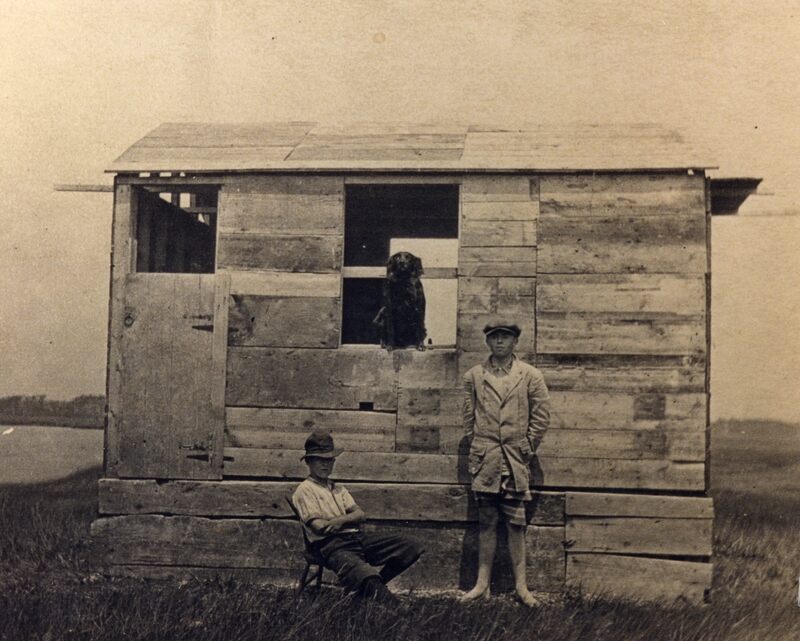 The Ellison Duck Blind, built by Eben H. Ellison (b. 1867) and expanded by his son, William P. Ellison (1904-1988), was located on an island in the Back River of Duxbury Marsh. In 1914 it consisted of little more than a chicken coop brought from Abrams Hill. Over the years it grew, until, by the 1960’s it had become a cottage with electricity, multiple rooms and a working kitchen. John C. Smith (b. abt. 1902) was the son of Arthur (b. 1875) and Nora E. Smith (b. 1874). He was born in Boston but at some point, most likely after the death of his father, the family moved to Duxbury where his mother was employed as a housekeeper. John Smith began working at the Ellison Duck Blind as a boy and continued as the caretaker for many years. Series I: Ellison Duck Blind Photographs, 1960-1980. 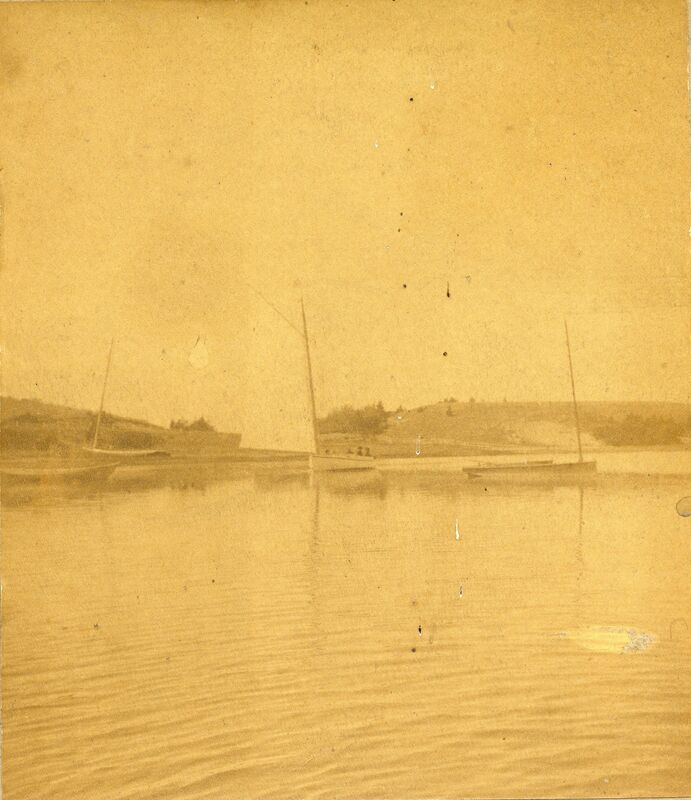 Series II: Albumen Prints of Duxbury, c. 1890.